Just how close 'friends' are Madonna and A-Rod? Madonna's brother Christopher Ciccone insists the singer is still "a Catholic girl" and would never have an affair. 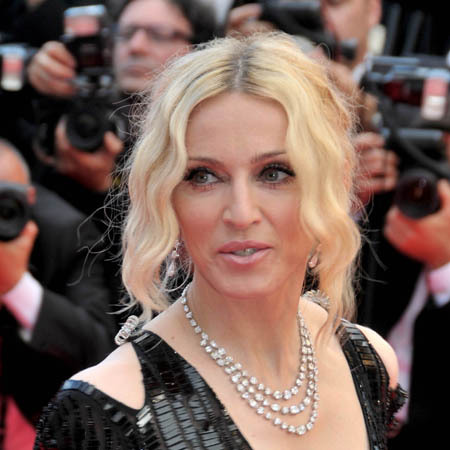 The 47-year-old author - whose book 'Life with My Sister Madonna' is causing controversy worldwide - is certain Madonna is not responsible for the breakdown of baseball player Alex Rodriguez's marriage, branding the rumours "absurd". He told US TV show 'Good Morning America': "I think it's highly unlikely. I know Alex from Miami. I doubt this is actually an affair?I'm sure she had nothing to do with the break-up of their marriage. It seemed absurd to me, truly, I don't believe it. Despite everything else, she's still a Catholic girl." However, Christopher - who had a close relationship with Madonna until she started dating her now husband Guy Ritchie - admits Madonna and Guy are having problems in their marriage, but have turned to Kabbalah, a mystical offshoot of Judaism, to help them through this difficult time. He revealed in his book: "A Kabbalah rabbi would regularly come down from London to meditate between them. This does not surprise me. I believe Kabbalah is keeping them together." Despite reports Madonna has already hired a divorce lawyer, Christopher insists it is unlikely the 49-year-old singer will follow through with the threat. He added to 'Good Morning America': "I believe she'll do what's best for the family and her kids and I think she'll do her best to maintain the marriage and keep it going. She's not the kind of person to walk away." Christopher also claims Guy is directly responsible for the breakdown of his relationship with Madonna, insisting: "Guy Ritchie pretty much happened to our relationship. The best way to get to my sister was to get into bed with her - the last person to speak to her at night has a lot of influence. We both couldn't exist in the same hemisphere." The artistic director - who directed Madonna's 1991 documentary 'Madonna: Truth or Dare' - also revealed that before his estrangement from his sister, Guy discriminated against him because of his sexuality. He said on the morning talk show: "When it comes to selecting the wood for his closet, I show him 12 samples and he tells me that they all look 'twee', using the word over and over. "I get the message - I am gay and he doesn't want the house to reflect my sexuality, which is hardly likely." Christopher hinted Guy's inability to accept him may have caused problems in his and Madonna's marriage. He wrote: "It has always been of paramount importance to Madonna that the man in her life should be able to deal with the gay men in her life."